Every year my mom, aunt and grandma would gather during the holidays and have a baking/candy making extravaganza! It was a sight to behold and the sheer volume of their goods was enough to feed an army. The yield from this day known only as “Candy Making” has been a staple in my holiday life since I can remember. I will be writing more about this closer to the holidays and will be going deep into the generations old tradition then. For now, I had zucchini that needed using and decided to make some bread! 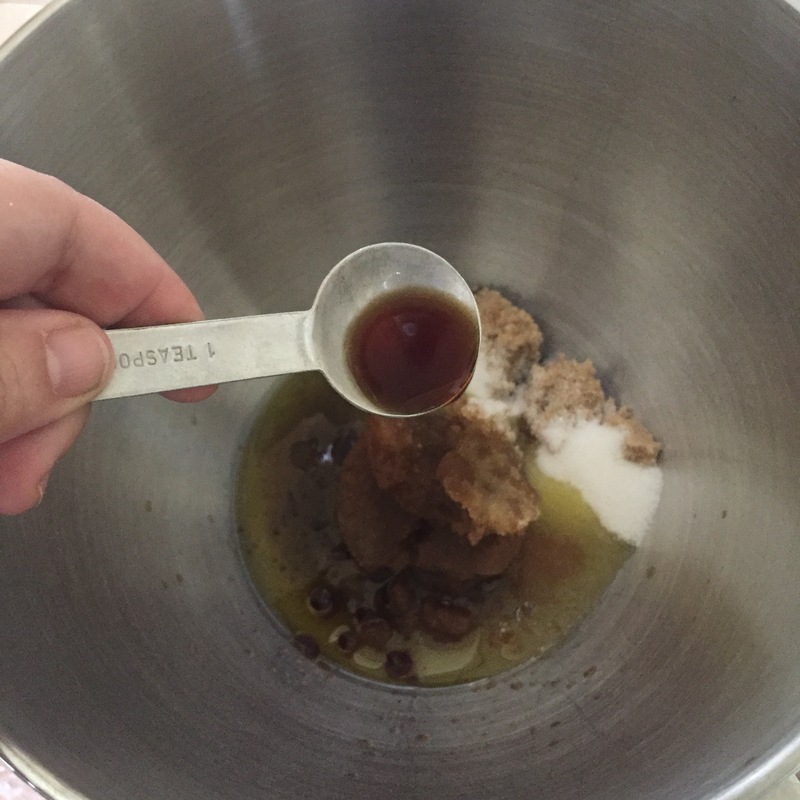 The recipe I used is similar but, I used brown sugar and more spices. I think my grated zucchini ratio is higher as well. Preheat oven to 350 degrees and grease or line your pans. 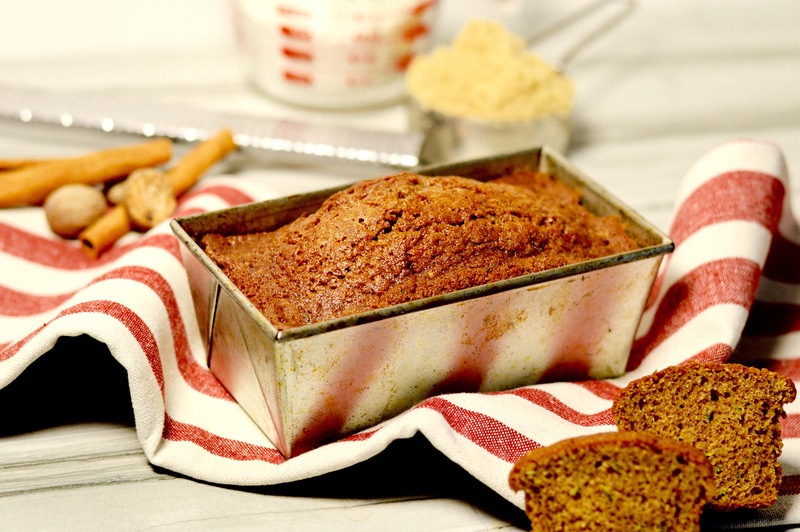 This recipe will make 18 cupcake sized servings, 1 standard loaf or 3 small loaves. I mixed it up and made 1 small loaf and 12 cupcakes. 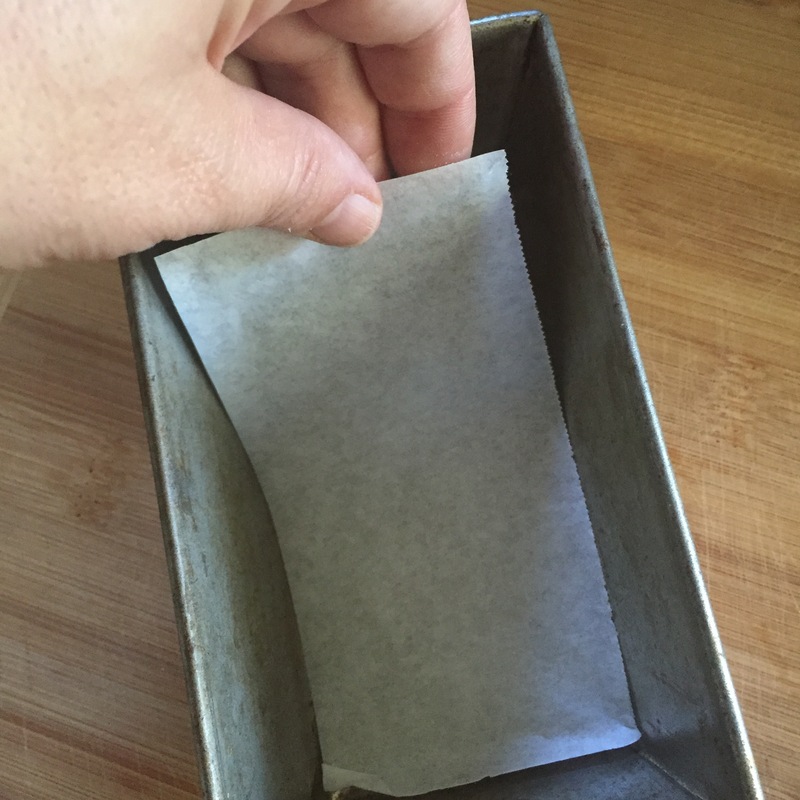 Paper liners for the cupcakes and a parchment lined bottom for the loaf. This is a great tip from my Gramma. Trace the bottom of your pan and cut just inside the line. 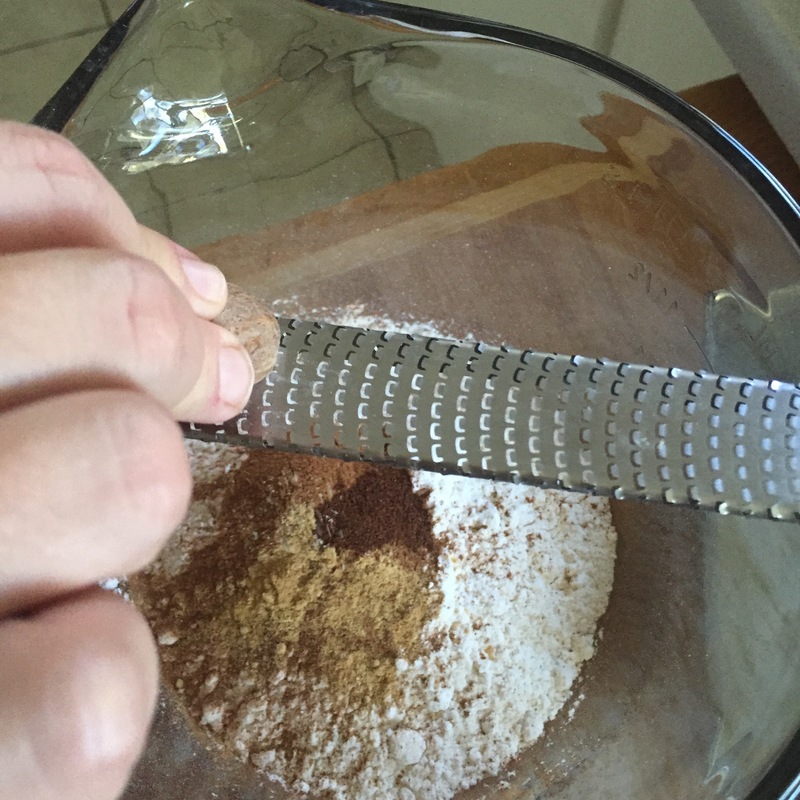 Use it to line the inside bottom of your pan for easy removal. 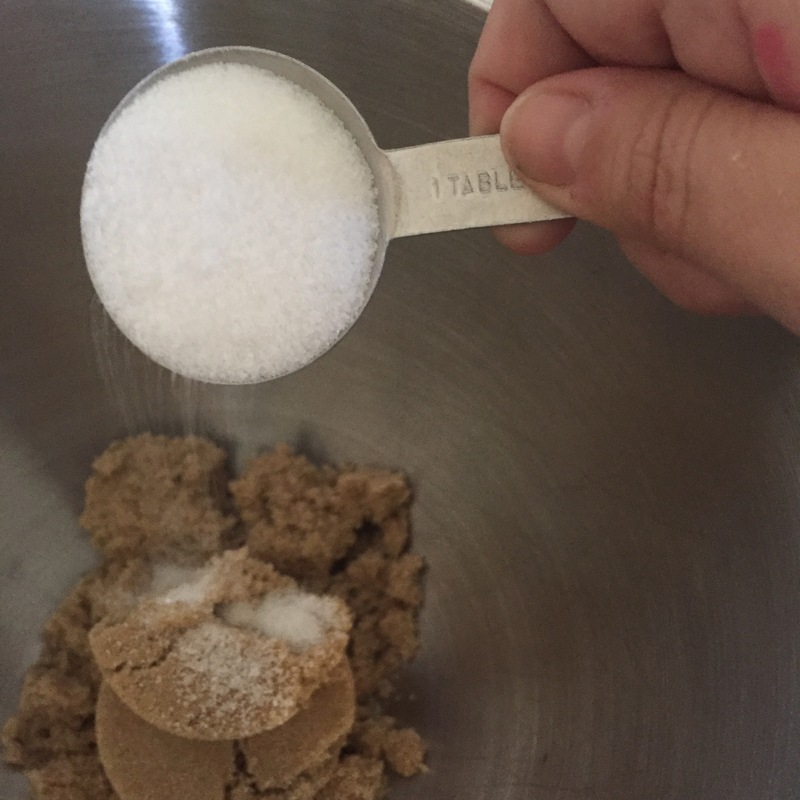 This is a great tip for layer cakes as well! 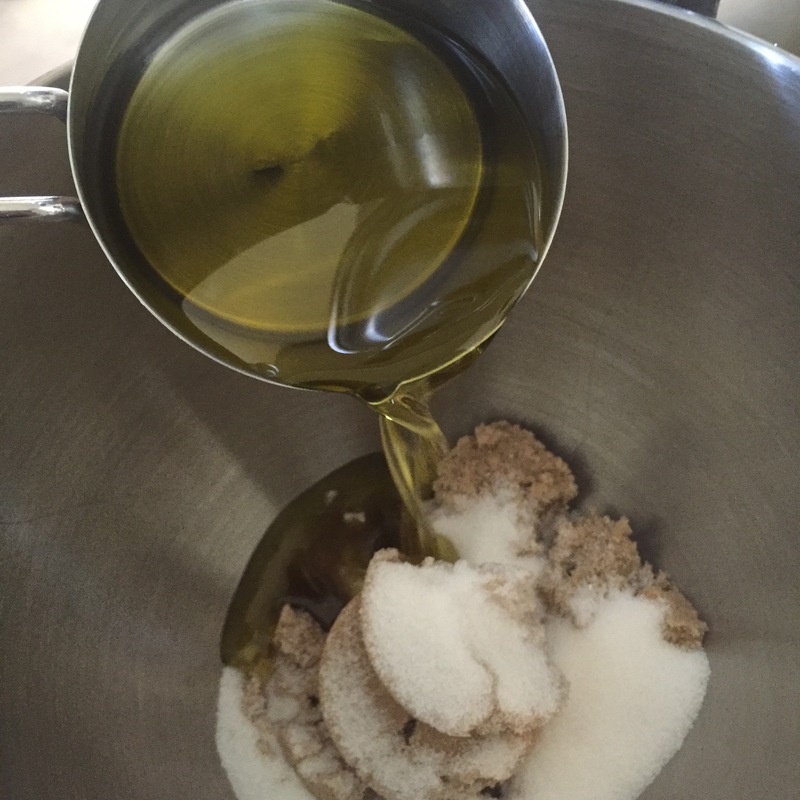 In a large bowl (0r the bowl of a stand mixer), whisk together the sugars, oil, vanilla and eggs. 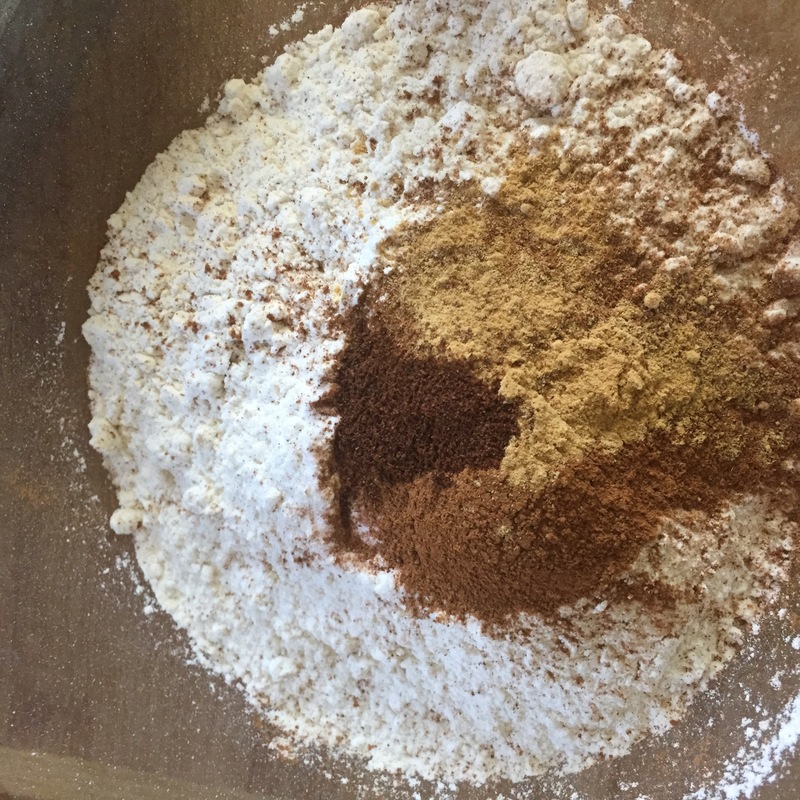 In a smaller bowl, blend flour, baking powder, baking soda, cinnamon, nutmeg, ginger, cloves and salt. 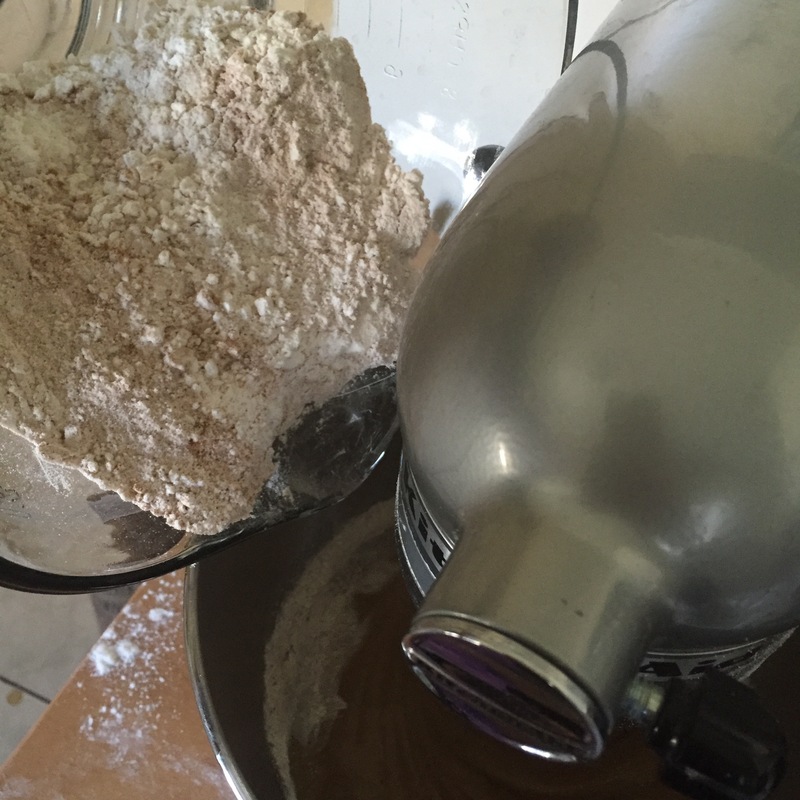 Add this flour mixture 1/4 at a time to the egg/sugar mixture and blend well. Stir in the grated zucchini until evenly distributed and pour batter into the greased and/or lined pan(s), spreading evenly. Bake 45-55 minutes, or until toothpick inserted into the center comes out clean (my mini loaf was done in 45 minutes, cupcakes in 35). Cool in pan 10 minutes; then remove from pan and cool completely before slicing.